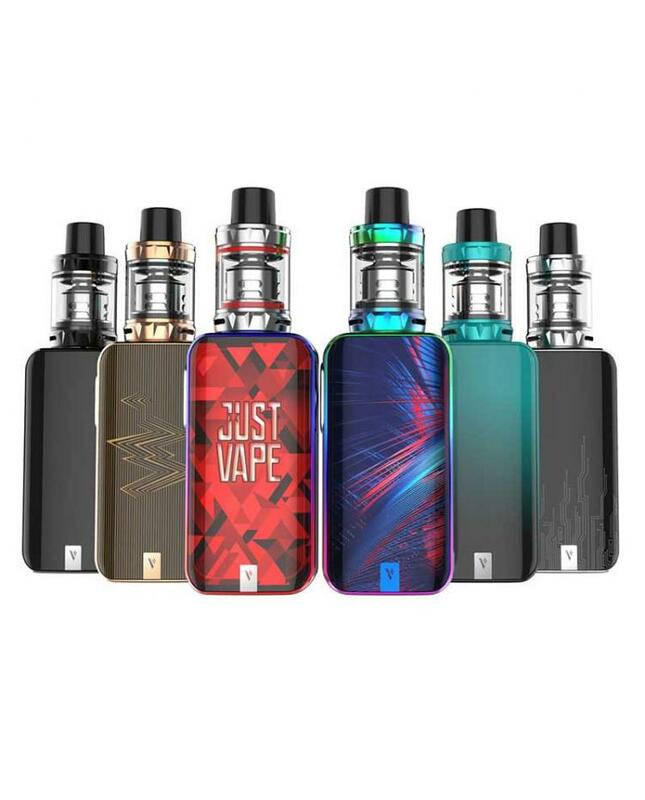 The Vaporesso Luxe Nano 80W Starter Kit, which is the nano version of the luxe 220W temp control vape kit. it includes the Luxe Nano Box Mod and SKRR-S Mini Sub Ohm Tank. the newest vaporesso starter kit built-in OMNI 4.0 chipset, with the insta-fire quick heating system, the most rapid low to 0.001S, will bring you rich flavor and denser clouds within the very first puff. the Luxe Nano with the super player mode, which is the broadest resistance range adaptive to all mainstream tanks(0.03-5.0ohm). the vaporesso mod with this sleek edge-to-edge 1.3inch TFT screen, a massive display which fits comfortably in the palm of your hand. the vibration-enabled buttons provide tactile feedback you expect from high-tech devices. the vaporesso mod built-in 2500mah battery and max output wattage 80watts, with 2A quick charging system, allow the battery can be fully charged in a short time. the SKRR-S Mini Tank can hold 3.5ml e juice, with convenient top refill design and dual airflow adjustable slots on base, it comes with the innovative QF coil heads, the new QF coils bullet-shaped inner structure controls air flow to prevent spit back, it combines the use of airflow and an internal reservoir, it has minimized leaking, the eliminating cold air intake gives warmer, richer flavors.